Shamanism is an ancient healing art, dating back at least 40,000 years. It was used by most indigenous cultures in the world. It is a healing method that emphasizes that all experiences affect your soul and that all healing comes through the soul. Learning about shamanic healing practices and soul retrieval became imperative for me. 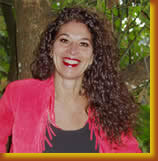 Through the Foundation for Shamanic Studies, I contacted Sandra Ingerman, the author of Soul Retrieval: Mending the Fragmented Self. Sandra Ingerman is responsible for bringing the concept, the training, and the healing potential of soul retrieval to the American public. I strongly felt that I needed to have a soul retrieval, and the information about journeying stimulated wisdom that already resided in my soul. I remembered lifetimes of being a healer, and my knowledge from previous lifetimes became available to me again. I not only reevaluated my counseling practice, I reevaluated my understanding of the concepts of God, Spirits, possibilities, other realities-the meaning of life! Shamanism is an ancient healing art, dating back at least 40,000 years. It was used by most indigenous cultures in the world. It is a healing method that emphasizes that all experiences affect your soul and that all healing comes through the soul. In shamanic cultures, the care of the soul is extremely important. In fact, it is the most important aspect of healing. The shamanic belief is that a human being is first and foremost a soul having a human experience, not the other way around. If the soul is cared for properly, or is healed through the process of soul retrieval, other healings can then manifest in the mental, emotional, and physical bodies of an individual person. In our Western culture, we have doctors who specialize in everything imaginable except for the soul. To me, this care of the soul is the missing link in healing. The soul must be cared for first. Fortunately, this is beginning to be understood in our Western culture and more people are seeking out individuals such as shamans for their individual healing. Shamanically speaking, all things are energy. The movement, or the transmutation, of energy is part of the healing of the soul, which is itself, energy. In a healing, the shaman moves out the energy that does not belong to a person and refills him/her with the divine energy that is the essence of that person's true soul. The theory behind soul retrieval is that there is soul loss when an individual experiences powerful or traumatic situations. Ingerman states that, "whenever we experience trauma, a part of our vital essence separates from us in order to survive the experience by escaping the full impact of the pain" (Soul Retrieval, Ingerman, p. 11). Through individual experiences, usually some sort of trauma, a person loses part of himself. In shamanic terms, this process is called "soul loss." In psychology, it is called "disassociation." Basically, it is a survival mechanism to withstand the pain of the situation. What psychology does not ask is where the lost part goes and how one gets it back. In the practice of shamanism, when a piece of the soul or energy leaves, it actually goes into another reality and is lost from the person. A void then exists in that person's soul. Think of the soul as a giant jigsaw puzzle. When you experience a trauma, a piece of the puzzle is lost, leaving an empty space in the puzzle. When this soul loss occurs, a soul retrieval is necessary to restore wholeness. In a process called journeying, a shaman is trained to enter an altered state of consciousness and travel into different realities to find and retrieve the lost soul parts. The shaman then literally blows these parts back into the client via the heart and the top of the head, restoring wholeness to the client. The voids created by soul loss can actually fill up with energy that is foreign to the soul. This can manifest into all kinds of diseases or physical, mental, or emotional problems. According to shamanic definition, the soul is perfect and divine, and life should reflect this. If a person is not experiencing happiness, or if there are physical, emotional, or mental problems apparent within a person, then evidence exists that there is not only soul loss but also an intruding negative energy. Extracting this negative energy and restoring the soul through the process of a soul retrieval thus promotes feelings of wholeness and happiness. One of the ways that indigenous people realized a soul retrieval was needed was when a person had stopped singing. With the restoration of the soul's wholeness, the person would sing again. In a shamanic culture, care of the soul is part of daily existence. I believe that is why these cultures are notably contented, happy, and crime-free. People who are whole or feel good about themselves handle the ups and downs of life in a wholesome way. When people feel fearful, threatened, or fragmented, their responses to life are extremely different from those who feel trustful, optimistic, whole, and complete. In our culture, we have very little experience with sustaining trust and optimism. Our cultural system is based on a win-lose hierarchy. Someone is always gaining while another is losing. In shamanic cultures this win/lose phenomenon is seen as soul stealing, or stealing away someone's personal power. Many people purposely steal personal power from others. A person can be the victim of this theft at any stage of life, but it often happens to children, especially if they are raised with authoritarian, controlling, or needy parents. The parents actually steal power away from their children. If a person is abused in any way, emotionally, physically, sexually, or mentally, there is a resultant exchange of power. The overpowered loses energy to the abuser. Children are easy targets to control and extremely vulnerable to soul stealing. The resultant soul loss leaves a void that is filled by negative energy (usually feelings of unworthiness) and the individual carries this energy for a lifetime, or until the lost soul parts can be retrieved. If there is no care of the soul built into the culture's system, the result is a society of wounded people. Feelings of unworthiness can lead to all sorts of dysfunctional behaviors and attitudes that predominate in society. These feelings of lack can take generations to heal, but once the patterns are recognized efforts can be made toward healing. I have found in my own research that the core counseling issue for most people is the issue of unworthiness. People need to be genuinely loved and connected to a higher power. Once soul theft occurs, an effort must be made to recover it. People also give away their power trying to find love or acceptance. Women have been taught to give away their personal power to the male gender. Cultural and family mores often create hierarchical gender structures, which establish male dominance. The result is socially reinforced losses of personal power for a false sense of social order. A country-western song like "Stand by Your Man" is an example of a gender-based system of control that suggests "appropriate" positions of power in relationships. Other examples of this belief system abound in our culture, but in true love and acceptance one does not give away one's soul. The void caused by engaging in this behavior can have extremely adverse effects.